Here I am joining you from beautiful Redding, California. I’d love for you to comment where you’re listening from. I want to talk to you about a very serious thing right now, which is the entrepreneur burnout epidemic. We are seeing so many people. I’m talking to a lot of entrepreneurs that are tired. They’re worn out. They’re just done. They want to quit, and here’s why. I think a lot of entrepreneurs are spending way too much time working on their business, number one. Number two, I think they have unrealistic expectations, which I’m going to talk about more in a little bit. Number three, there’s just not a lot of supports were they encourage healthy behavior. We get books like this. Be Obsessed Or Be Average, that talks about always thinking about your business, going 24/7 basically, and burning the candle at both ends. We have influencers like Gary Vaynerchuk talking about grinding nonstop from the time you wake up until the time you go to bed. It is creating an unhealthy obsession with success. One of the biggest things that negatively impacts the entrepreneur’s mindset is the expectations. I think too many entrepreneurs set themselves up for failure by expecting success too fast, by creating unrealistic expectations for the amount of problems that they’re going to have in their business. And I think too many entrepreneurs have unrealistic expectations for the level of success that they’re going to reach in a given time. Like for example, one of the most common themes when I talk to my friends about 2018, is that it didn’t go as well as they thought. It’s not that it didn’t go well, it’s that it didn’t meet their expectations, and so they felt like they failed because unmet expectations for a lot of people mean failure. What can we do to solve those expectations? I believe that there are three things to do. Number one, write down your goals. Yes, you should go for big goals, but also look at what other people that you follow and that are in the same position as you, look at what they’re doing, and then match your expectations to them. Don’t look at the influencers. I’ve been doing this for 17 years. If you’re just starting out, don’t look to me and say, “I want to get where Alex is in a year.” That’s just not realistic. However, you can get to where I am a lot quicker than 17 years. It’s just going to take a little bit longer, in my opinion, for you to get there than a year, so you gotta keep with it. I also think that expectations about the amount of hours that you’re going to put in, and what impact that’s going to have on the quality of life. You guys, you have other things going on outside of business. You have a family, you have friends, your fitness, your faith. All of these things should also have a high priority in your life outside of work. 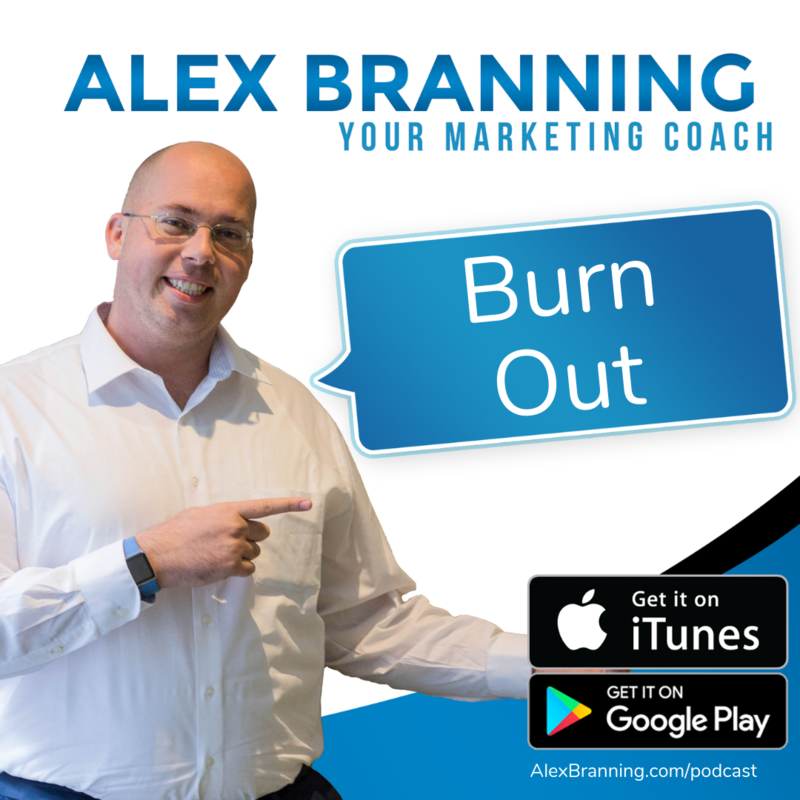 But because we listen to people like Grant Cardone and Gary Vaynerchuk, we get these crazy unrealistic expectations for how much work we are going to put in on a day-by-day basis without thinking about the repercussions. So my encouragement to you, really set aside time when you’re working on your business, and then schedule out time to spend with your family, your friends, going to church, et cetera, so that you can maintain a healthy balance. Because with balance comes the energy, and the mental clarity to make it work for you. Then the last thing is about expectations for the number of issues that you’re going to have. You know, if you don’t have a support system around you, if you don’t have people telling you the realities of what you’re about to go through, then when things happen, when unexpected bumps in the road hit, you’re going to get frustrated and discouraged, and I don’t want that to happen to you. So let’s talk about how we fix it. I’ve laid out the expectation issue that I think is just plaguing entrepreneurs. How do we fix it? I have a couple of ideas. Number one, delegation. Delegation is by far the biggest and best thing that I’ve ever done in my business, and I did it at a time when I could not “afford” to do it. I started delegating tasks early in my business, and really what I look at it as, the time that I am spending or are paying for, for my team to do work, is time I’m buying back for myself. I just could not build the business that I am right now if it wasn’t for my team because I don’t have enough hours in the day, number one. Number two, I don’t have the mental shelf space to do everything that is necessary for me to do my business. I don’t care where you’re at right now, or what you’re doing. I think the very first thing you should do after watching this video is to find someone that you can trust to join your team on a part-time basis. I don’t care if it’s five hours a week. I don’t care if it’s a little bit more than that. But look and give them the busy work that you need to do. I don’t care what level your businesses is at. You should not be doing everything, even if it’s for two hours. I know someone who runs a network marketing business from home. She has someone spend two hours every single week just doing followup emails, and setting up her social media posts that she’s already written, but she just hands it off. The reason is, is because she knows it’s going to get done. Go to freeeup.com. I’ll post a link in this video. Go to freeeup.com. Find someone who can be an admin assistant for you, and handle some of these tasks. Okay? That’s number one, delegate. If you’re worried about, “Okay, I’ve never managed a team before. I don’t know what to do,” I have a book for you to read that’s going to help you not only set your expectations but also manage your team well. That is, The 4 Disciplines of Execution. I’ll post a link in the notes below here. Great book, really easy to read it. It really helps you set up for success as you build your business by adding team members. Another thing to do with delegation is to make sure that you’ve clearly outlined what you expect of them, again, going back to expectations, and then how you can serve and support them as they grow. When I first bring somebody onto my team, I know that the tasks I give them are going to take them a little bit longer to do. But once I’ve trained them to do that task, I never have to do it again. When something comes across my desk, I look at the task and I say, “What can I do so that I never have to do this again? Do I have to train a team member to handle this? Do I have to set up automation? What do I have to do so that I never have to do this one task again?” I also believe in automation. Automation is a great way to avoid burnout because instead of having a person on your team to handle tasks, you’re able to create a process, an automated digital process, to do the things that are necessary for you to get the thing done. There’s a lot of automation that we use here at the Branning Group. 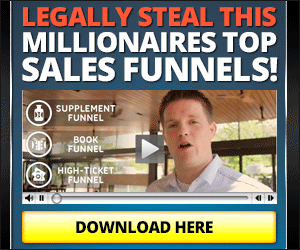 I’ll post a link to a free webinar that I did showing you the 13 tools that we have. You don’t need 13. You can start with one. Okay? It’s all about using software, using a digital platform, as essentially a full-time employee that does things when you need it to be done. We use automation for marketing, for our social media, for the email follow-ups, for actually performing certain tasks for us. I mean, it’s crazy. If you watch the webinar, I’ll link to it here. If you watch the webinar, I give you an over-the-shoulder demo of what we do. Also, when it comes to growing your business, we all need leads. My friend, my Facebook friend, Josh Turner, is doing free leads on autopilot boot camp next week, which I highly recommend you check out. You can join that by going to the link below. It’s a free boot camp. 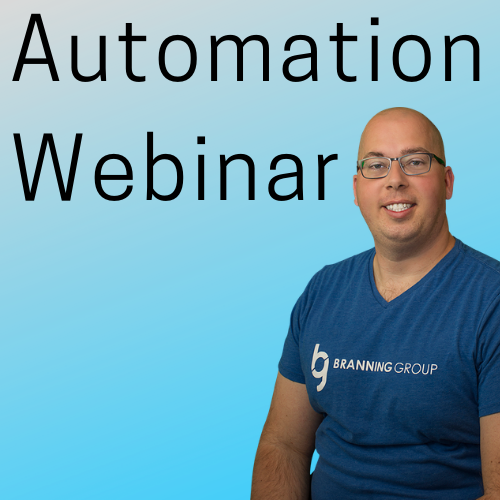 Josh is a genius, and he shows you how he uses automation to go and get new leads. It’s really cool. He’s definitely ahead of the game there. I also recommend a couple of other books while you’re looking at this. Number one, Getting Things Done: The Art of Stress-Free Productivity by David Allen. It’s amazing. It literally changed my life. He’s got one chapter in there about cleaning off your workspace and your mental space and giving you a task to do. After I did that, I had so much more mental clarity. My physical space was a lot better, and I was able to get more done. Check that book out. There’s a link in the notes. Also, the Time Management for Entrepreneurs book written by the great Dan Kennedy. This book helped a lot. A lot of really practical applications that I could use right as I was reading the book, which was really good. Then last but not least, I have another book for you to read. It is The 4 Disciplines of Execution, which I mentioned before. As you’re building a team, and even if you read that book just for yourself, I believe it’s going to help out. If you need people to talk to, if you need support, if you want entrepreneurs that are looking to not only build amazing, huge businesses, but also making sure that they maintain a healthy balance in their life, I want to invite you to join our new Facebook group. We call it “The Unstoppable Business”. I have the link in the notes, and I’d love to have you be there and be a part of it. Thank you so much for joining me. I would love to chat with you if you have any questions about what I talked about. If you know an entrepreneur in your life, pat them on the back, tell them they’re doing a good job, and let them know about this video. Thanks.